Brief Synopsis – A Submarine commander is tasked with taking his crew to the North Pole to rescue stranded scientists working on a Top Secret project before the Russians get there. My Take on it – This is a great thriller that works so well because it is able to use the background of the Cold war between the US and Russia in situations that seem to keep raising the stakes. The cast is superb and they keep the suspense going the whole time by constantly pitting characters against one another. The fact that we have an all star cast helps with the suspense because we never know who can be trusted and who not along their journey. 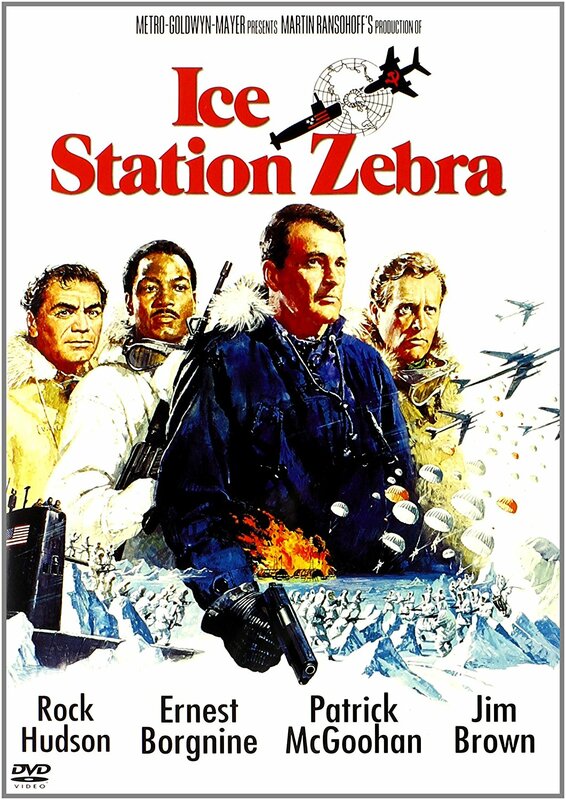 Rock Hudson, Ernest Borgnine, Patrick McGoohan, Jim Brown are all amazing here. The story is filled with lots and lots of twists, turns and surprises along the way which make things so enjoyable. The plot is quite clever and stays interesting the entire time. The special effects are quite good for its time and they give us a realistic depiction of a submarine traveling under the ice of the North Pole. I was never the biggest fan of Hudson’s work (of what I’ve seen) but he does a stellar job as the submarine captain. Bottom Line – Great thriller that utilizes the Cold War era so well. The cast is superb and with such a cast you never know who can be trusted. Hudson, Borgnine, McGoohan and Brown are all great here. The suspense of it all works really well and I loved the twists, turns and surprises along the way because they keep things is clever and interesting. Great special effects for its time which keeps things feeling quite realistic. Recommended!